I create handmade sterling silver jewellery with a personal and sentimental approach to design. 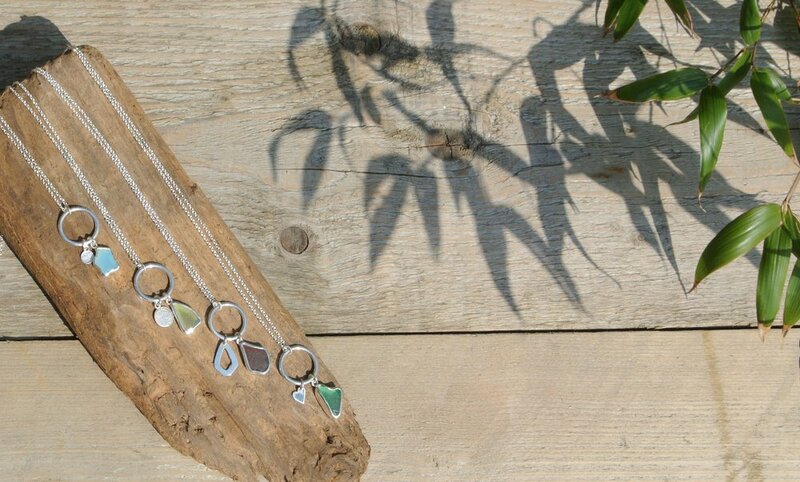 Based on the North Norfolk coast I spend hours beach combing which allows me to create one of a kind pieces of jewellery. You can head over to my etsy shop to pick out some ready made pieces. I love to hear about your ideas and create unique and bespoke pieces. Have you got a piece of sea glass or small pebble that you found on your favourite holiday? I can turn this into a piece of jewellery that you can treasure for ever. I was lucky enough to be able to take part in the most beautiful photoshoot alongside several fabulous local businesses, which has been featured in 'Norfolk Bride'. I have always been fascinated with making things, especially jewellery. My work has often been inspired by the seaside as this is where I feel most at home. Take a look at some of the lovely comments that have been left by my customers.